Read-out Instrumentation Signpost: Leader on the edge! 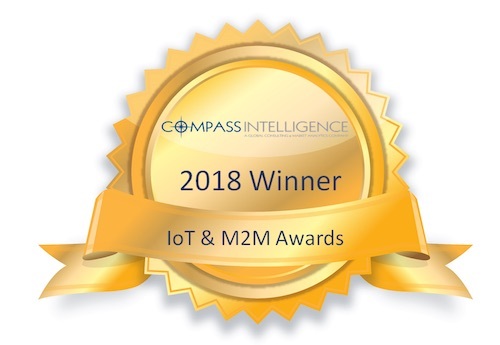 Adlink Technology has been named Edge Computing Company of the Year in the sixth annual Compass Intelligence awards. The awards honor the top companies, products, and technology solutions in mobile, IoT and emerging technology industries. The company won its award in the category of IoT Data. Adlink, a global leader in Edge Computing, reduces the complexity of building Industrial Internet of Things systems that balance the requirements for data availability both at the edge and in the cloud. The company is a Premier Member of the Intel® Internet of Things Solutions Alliance and has a strategic partnership with NVIDA to bring AI to the Edge. Adlink is an active contributor in many standards and interoperability initiatives , and the company’s products are available in more than 40 countries across five continents. The Compass Intelligence Awards nomination process begins as industry players submit their picks in three primary award categories: Mobile & Wireless, IoT/Connected Solutions, and Bamboo Mobile, focused on sustainability. After the nominations are closed, more than 40 industry-leading editors, journalists, thought leaders and analysts vote on the award recipients. The 50 nominated awards and five Compass-selected awards identify the best among a number of technology products and services. Advance for CAN FD network designers. Systems integrator has new MD. New e-Book on robots introduced! Speaking the language of intelligent buildings! Supporting clean drinking or process water. Serving the food & drink sector. Protecting PSUs in harsh conditions.